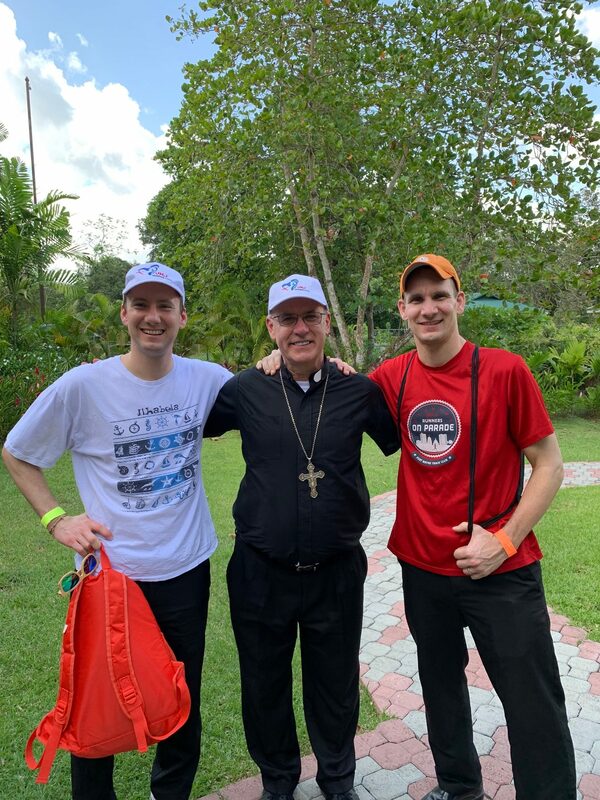 Our diocesan pilgrimage to World Youth Day in Panama was a beautiful journey of faith under the motherly mantle of Mary, whose response to God’s call was the theme of WYD 2019: “I am the servant of the Lord. May it be done unto me according to your word” (Luke 1:38). It was a great joy for me to be with the wonderful faith-filled young people of our diocese on the pilgrimage to Panama. 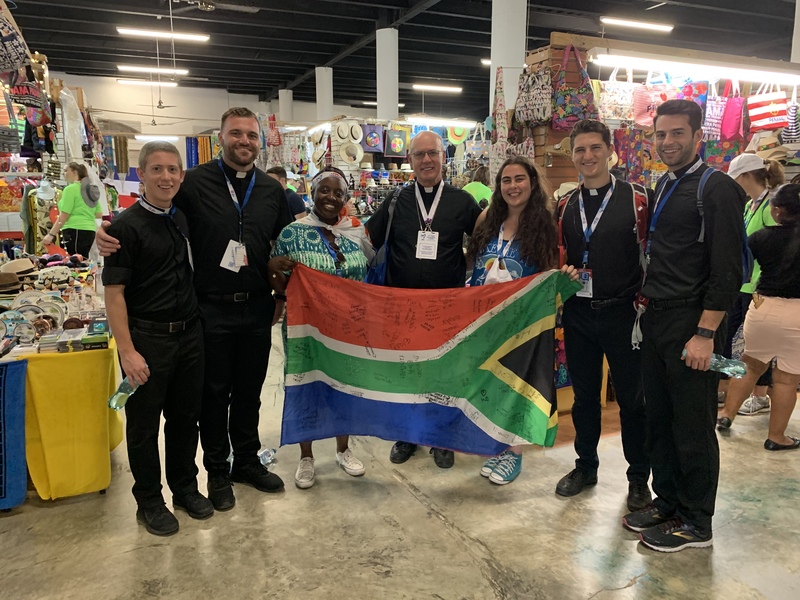 Together with our priest and seminarian pilgrims, young newly-professed Sisters of Saint Francis, youth group leaders/chaperones and our diocesan leaders, we joined young people from around the world and experienced the universality, diversity and dynamism of the Church. It was a joyful celebration of our faith, in the presence of our universal pastor, Pope Francis. 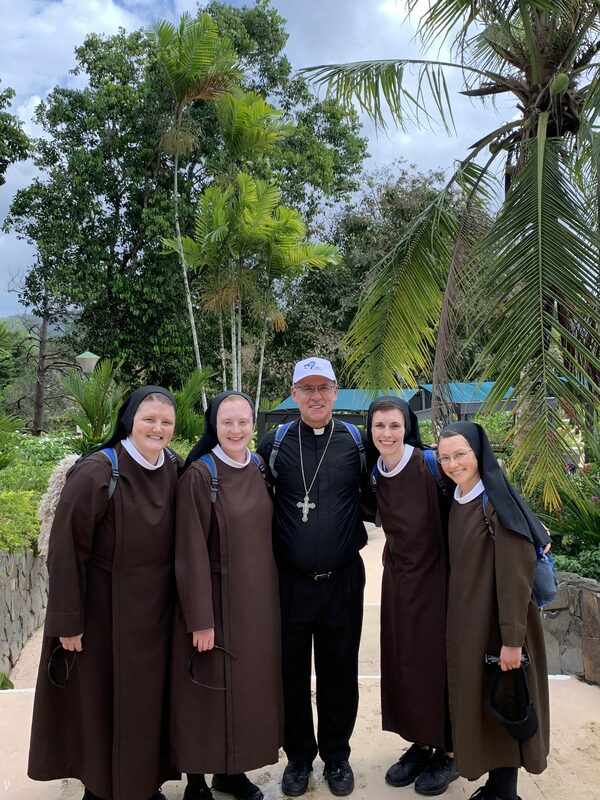 Our pilgrimage in Panama began with Sunday Mass on Jan. 20 in the hotel after our arrival. The Sunday Gospel of the Wedding Feast at Cana was an appropriate reflection for our first day, as we heard of Our Lady’s intercession for the young newlywed couple. Her words to the waiters, Mary’s last recorded words in the New Testament, are also addressed to us: “Do whatever He tells you.” Our Lady teaches us, by her words and example, to listen to her Son and to obey Him. In doing so, miracles happen in our lives — we experience joy and peace in our hearts, true human fulfillment. We began the next day with Mass at the National Shrine of the Immaculate Heart of Mary on the feast of the young virgin and martyr, St. Agnes. I shared with the pilgrims the example of this courageous young woman whose love for Christ, her spouse, led her to embrace the call of virginity and to defend it even at the cost of her own life. 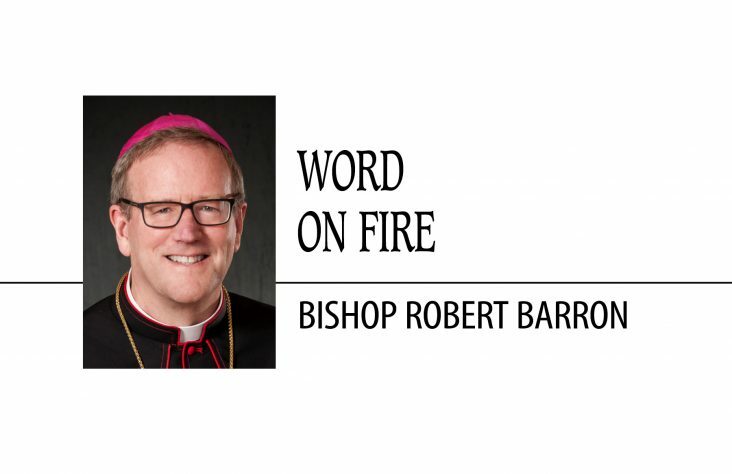 I invited our young people to consider their calling and to be open to the Lord’s call to discipleship, especially listening to Him in their prayers during World Youth Day. 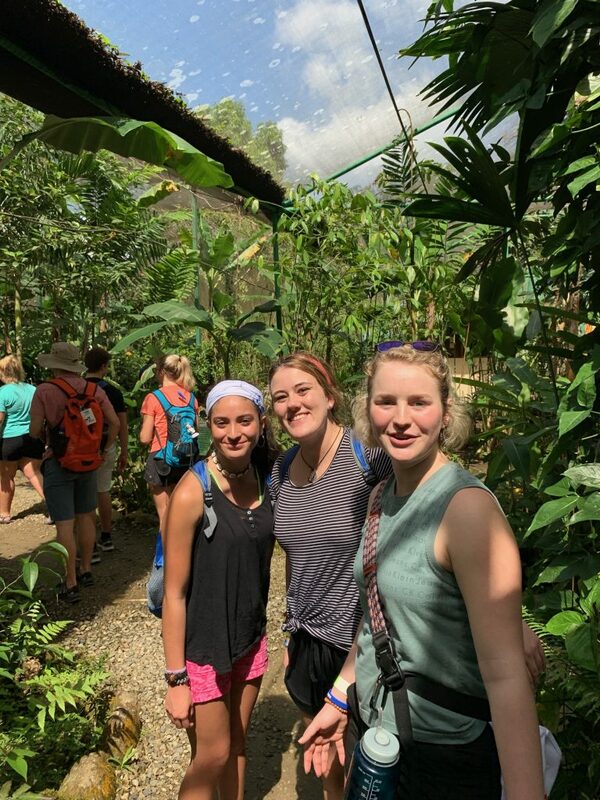 After Mass we traveled to the Gamboa Rainforest, where we spent the day together enjoying the exotic vegetation and diverse wildlife — including a butterfly farm, a frog pond, an orchids center and a sloth sanctuary. We took a ride on an aerial tram from which we saw a wide variety of birds and beautiful scenery of the jungle of the Soberania National Park. We enjoyed a boat ride on the Panama Canal, where we saw crocodiles and capuchin and white-face monkeys. The next day, Jan. 22, we visited the Panama Canal, an amazing engineering feat linking the Atlantic and Pacific oceans, which was inaugurated in 1914. We spent a couple hours at the Miraflores Locks and watched a few large ships move through the locks. 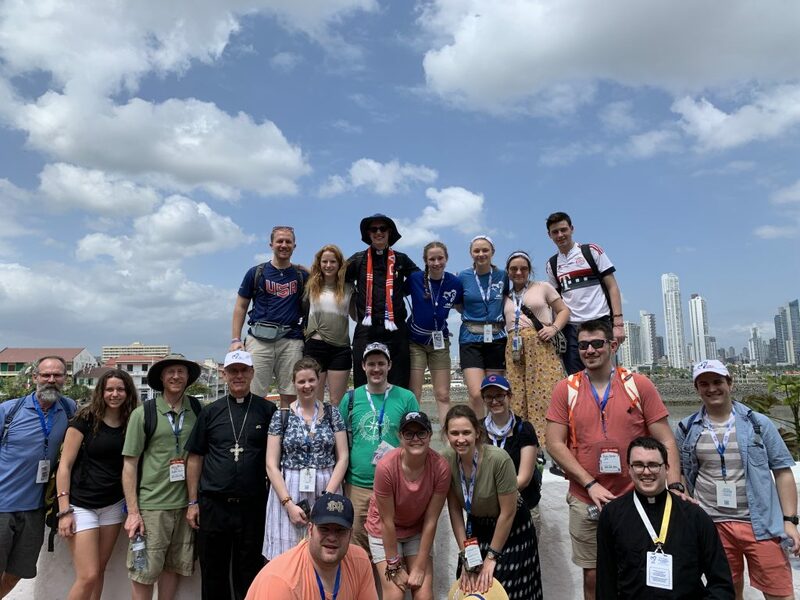 We returned to Panama City late in the morning to prepare for the Opening Mass of World Youth Day. The opening Mass and later WYD events took place along the Cinta Costera, the coastal beltway along downtown Panama City. 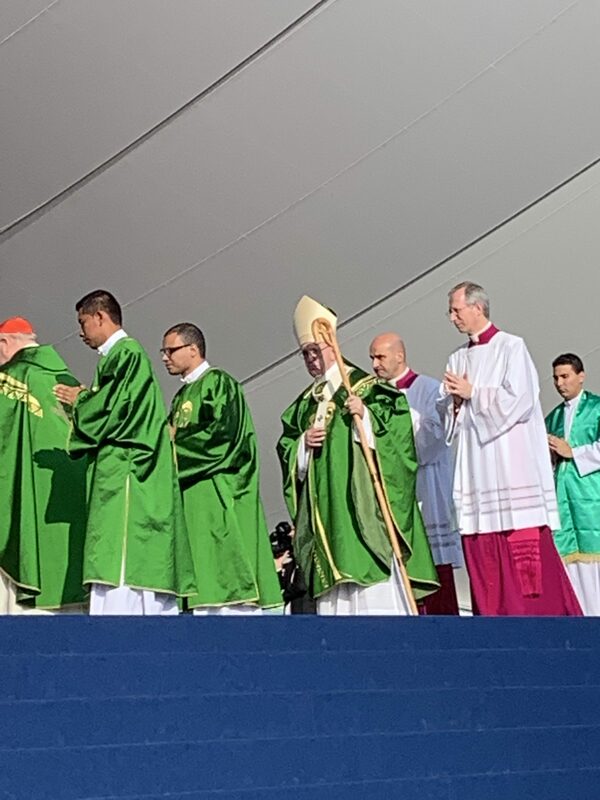 The Metropolitan Archbishop of Panama, José Domingo Ulloa, celebrated the Mass and welcomed the pilgrims from around the world. His welcome resounded and mirrored the welcome we had already received from the friendly and hospitable Panamanian people since our arrival. True Christian joy was everywhere during WYD. The music, singing and dancing expressed that joy. Archbishop Ulloa spoke about the patron saints of WYD and how they show us that “a life of holiness is possible in every culture and ethnic group, without distinction of gender, nor age.” He said that “a giving of one’s life for God and neighbor is the road to sanctity.” The archbishop reminded us that a saint “seeks justice, prays, lives and loves the community, is happy, has a sense of humor, always is in the struggle, leaves mediocrity behind, lives the mercy of God and shares it with the neighbor.” He encouraged the young people: “Don’t be afraid, be courageous to be a saint in today’s world.” I think Archbishop Ulloa’s passionate message resonated with the idealism of the young people. The youth gathered the next three mornings for catechetical sessions and Masses in various locations around Panama City. After the catechesis on Jan. 23, I joined up again with our diocesan youth for the Fiat Festival for English-speaking youth at the Figali Convention Center. 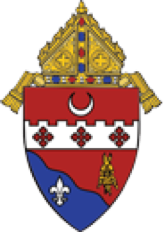 The afternoon and evening program, hosted by the USCCB, the Knights of Columbus and FOCUS, included witness talks by various bishops and young people, as well as music by various bands. The Fiat Festival ended with Eucharistic Adoration and Benediction, after which our rather weary pilgrims returned to the hotel for a good night’s sleep. Our Holy Father, Pope Francis, arrived in Panama on Jan. 23 and took a motorcade through the city. On Thursday, Jan. 24, we had the official Welcoming Ceremony for Pope Francis at the Santa Maria la Antigua Field along the Cinta Costera in the early evening. He arrived on the popemobile to an enthusiastic welcome by the estimated 250,000 young people. Amid festive music and the waving of the flags of so many countries, the popemobile passed through the crowd. During the ceremony on the main stage, the WYD cross and Marian icon were brought to the stage by young people. Five youth from the five continents greeted the Holy Father. Young people from Panama presented the pope with a stole made of “mola,” a traditional handmade textile of the indigenous Kuna people with colorful artistic designs. 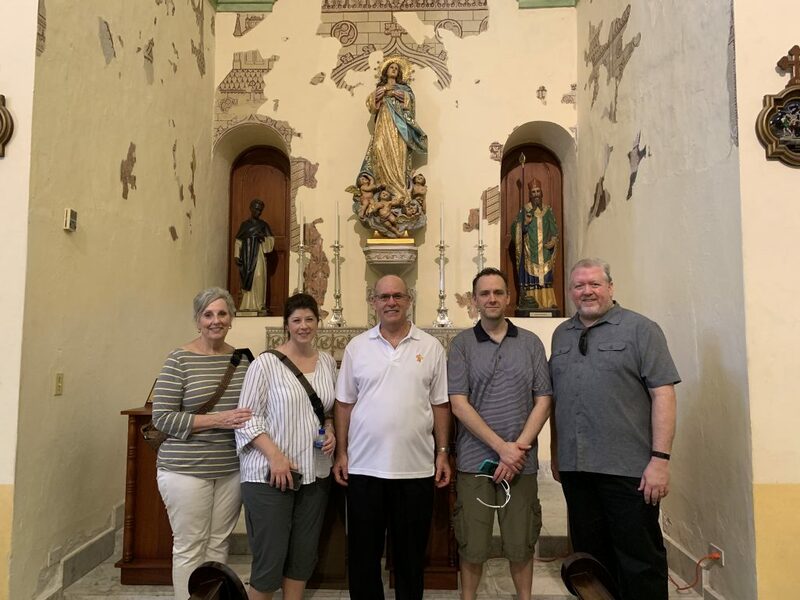 Friday, Jan. 25, our diocesan group went to Casco Antiguo, the old city which was moved there after English pirates destroyed the older, first Panama City. The Metropolitan Cathedral of Santa Maria Antigua, the patroness of Panama, has been under restoration for several years. Deacon Daniel Niezer and I were able to receive a tour of the beautifully restored cathedral in which Pope Francis would dedicate the altar the next day. We were able to pray before the statue of Santa Maria Antigua in the cathedral. 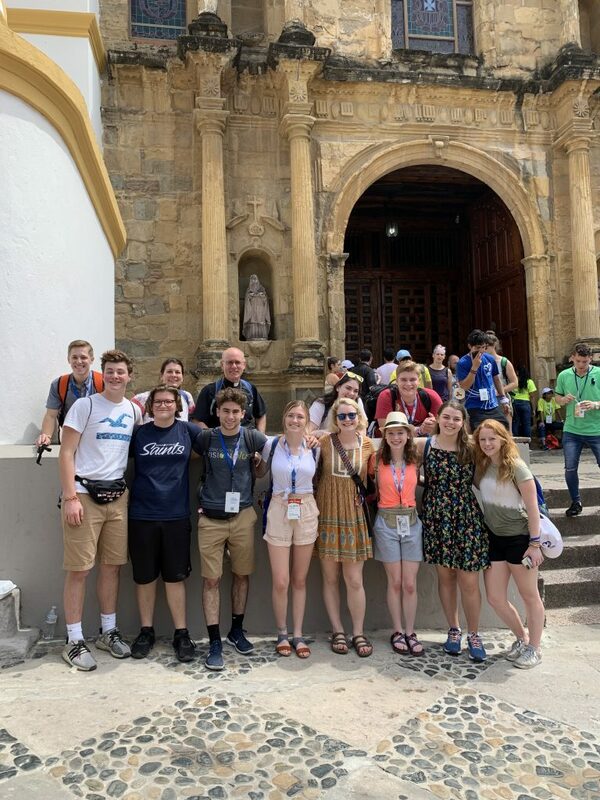 Our whole diocesan group gathered for Mass in the late morning at the 17th-century church of Saint Joseph (Capilla San José) in Casco Antiguo, the old city. The beautiful baroque wooden high altar is gilded in gold. I celebrated the Mass and Father Terrence Coonan preached the homily on this Feast of the Conversion of St. Paul. After Mass and some more touring around Casco Antiguo, we departed for the Way of the Cross with Pope Francis back at the Santa Maria Antigua Field. World Youth Day is a jubilant event, but the Via Crucis was more solemn as we reflected on the Stations of the Cross. I was struck by the silence of the young pilgrims as representatives of 15 American nations led the reflections. Besides the Creole language of the Haitians and the English of the United States pilgrims, the reflections were all in Spanish. I was proud and excited that one of the two young speakers representing the United States was from our diocese: Dane Litchfield of St. Mary of the Assumption Parish, Avilla. He did a great job. Also, Renate Kurtzweg of Our Lady of Good Hope Parish, Fort Wayne, was chosen to be one of the U.S. youth to carry the cross! It was great that two young people of our diocese had such roles. The U.S. led the 12th Station of the Cross focused on Mary at the foot of the cross. At each of the Stations, we prayed for various suffering people around the world who share today in the Passion of Christ. Each significant event of Jesus’ crucifixion was especially linked to a current theme or issue affecting young people, particularly in Latin America. On Saturday, Jan. 26, we gathered with pilgrims from the Archdiocese of Boston and elsewhere for a Mass celebrated at the Carmelite Church of Our Lady of Mount Carmel, a beautiful Gothic church not far from the hotel where our diocesan group was staying. Cardinal Sean O’Malley was the principal celebrant. 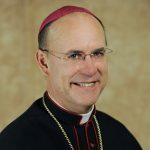 In his homily, the cardinal spoke about Sts. Timothy and Titus, whose feast was that day, and how they were part of St. Paul’s missionary team. He spoke of how we need friends who share our faith and accompany us as missionary disciples, like St. Paul had friends who were his fellow workers, Timothy and Titus and others. After Mass and breakfast back at the hotel, our pilgrims readied for the 15-mile trek to the St. John Paul II Field, the site of the Saturday night Vigil and Sunday morning Mass with Pope Francis. The pilgrims would spend the night sleeping outdoors, while we bishops were bused to and from the site. So I spent Saturday afternoon touring the architectural site of old Panama City (Panama Viejo), the original Spanish settlement located in the suburbs of today’s city. It was the first European settlement built on the Pacific coast of the Americas. Among the ruins, the tower from the old cathedral still stands and is a famous image of Panama today. As a history buff, I enjoyed touring the ruins and museum, learning about the settlement that was founded in the year 1519. The Welsh pirate Henry Morgan defeated the city’s militia and sacked the old city in 1671. 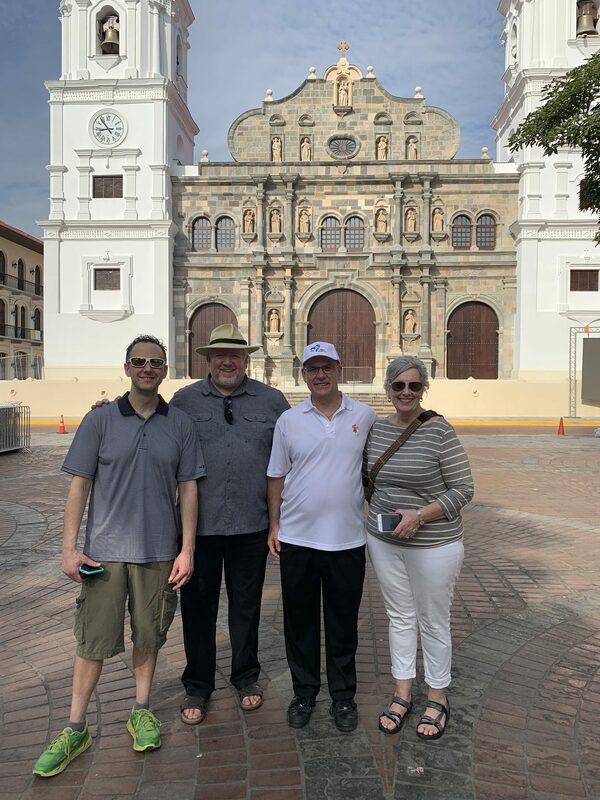 The people then moved and built the new city a few miles away at what is now called the Casco Antiguo, the historic district we visited on Friday. The Saturday Vigil and Sunday Mass are always the climax of World Youth Day. At the Prayer Vigil, three young people offered their testimonies before the Holy Father and hundreds of thousands of young men and women. A Panamanian mother spoke of the fear and difficulties she faced when she learned her pregnancy was at high risk and she was carrying an unborn daughter with Down syndrome. She shared how she and her husband put the situation in God’s hands and decided to love their daughter with all their hearts. A 20-year old Panamanian man shared his experience of falling into a life of drugs and crime and was arrested and sent to prison. 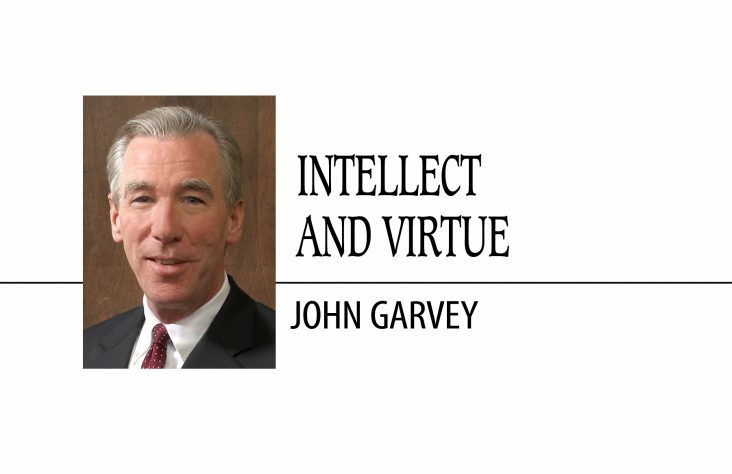 When released, he was assisted at a Catholic halfway house and received encouragement and help in his reintegration into society. He related how God loved him and did not abandon him. Finally, a young Palestinian woman shared how she had become distant from her Christian faith until she participated in World Youth Day in Krakow in 2016. 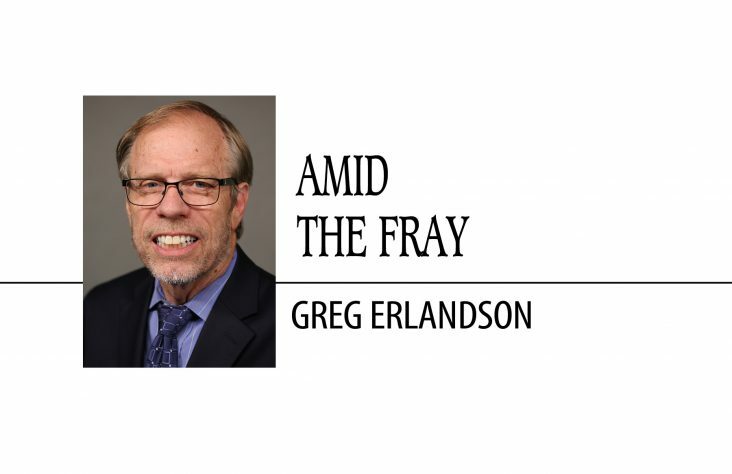 She is now a practicing Catholic and her faith is strong. After the moving testimonies of the young people, Pope Francis spoke about how their stories reflect the risk that Mary took in saying “yes” to God. He invited the young people to see their personal stories as part of God’s love story and encouraged them to place their trust in God, especially in moments of uncertainty, doubt and trial. The Holy Father spoke of how Jesus helps us to stand up again after we have fallen. He said that the worst fall that can ruin our lives is to remain down and not allow ourselves to be helped up. After his talk and as the sun set, the Pope led the crowd in silent prayer during Eucharistic Adoration. After Benediction, he departed amid the joyful music and cheers of the young people. The youth remained and slept outside awaiting the Holy Father’s return in the morning for Sunday Mass. We bishops left our hotel at 4:15 a.m. to concelebrate the Closing Mass with the Pope that began at 8 a.m., scheduled early so as to avoid the heat of the day (though it was still hot!). The final Mass was beautiful and I was fortunate to have a great seat in the second row. At the end of the Mass, they announced that the next World Youth Day in 2022 will be held in Lisbon, Portugal. I am already hoping to organize another diocesan youth pilgrimage! The Portuguese youth erupted with applause and cheers when their country was announced as the next WYD host. On Sunday evening, we gathered for a delicious Panamanian dinner at a local restaurant, our final meal together. 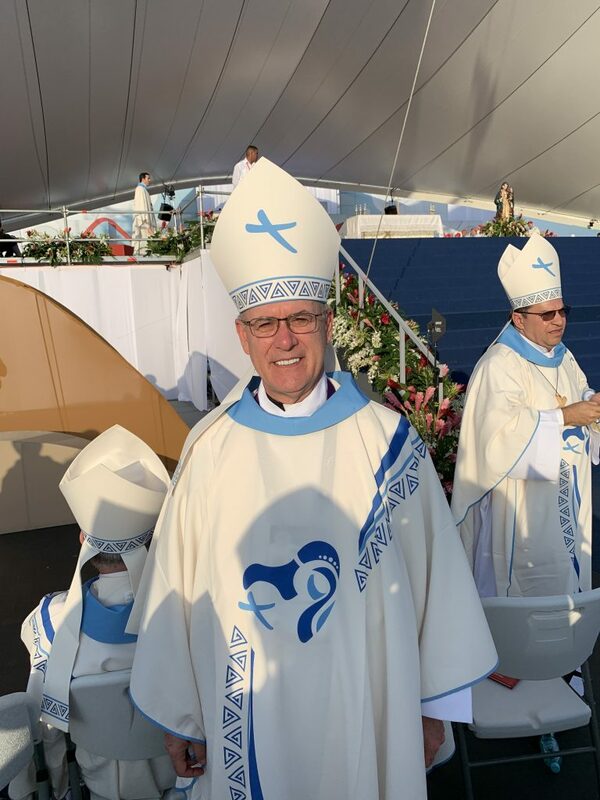 I expressed my gratitude to our young pilgrims, including our priests and seminarians and Sisters of St. Francis for their faith-filled participation in WYD, and especially to our wonderful chaperones and diocesan leaders who worked so hard to make this a pilgrimage we will never forget.